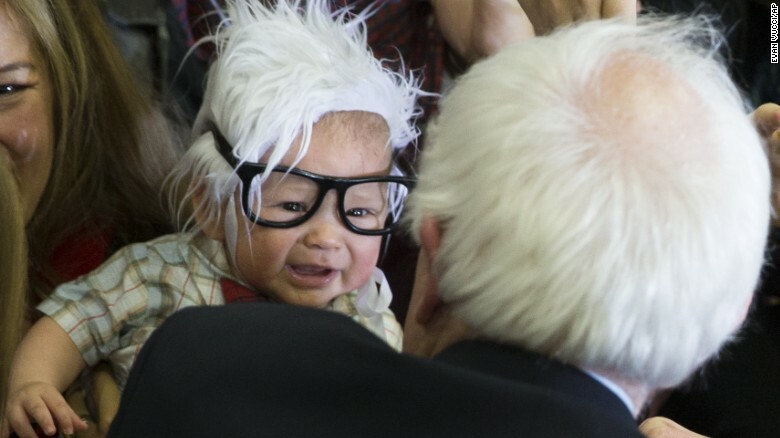 “Bernie Baby,” a Los Angeles infant who gained attention on social media after his mother dressed him like Democratic presidential candidate Bernie Sanders, has died, the Associated Press reports. The apparent cause of death was sudden infant death syndrome, according to a family member. Oliver Jack Carter Lomas-Davis was just shy of four months old. Such stories are terrifying, especially for parents who, like me, are caring for an infant. But they are relatively rare, according to the Centers for Disease Control. About 3,500 infants die in the U.S. each year from sudden, unexpected causes — about 40 percent of which are later determined to be sudden infant death syndrome, or SIDS. 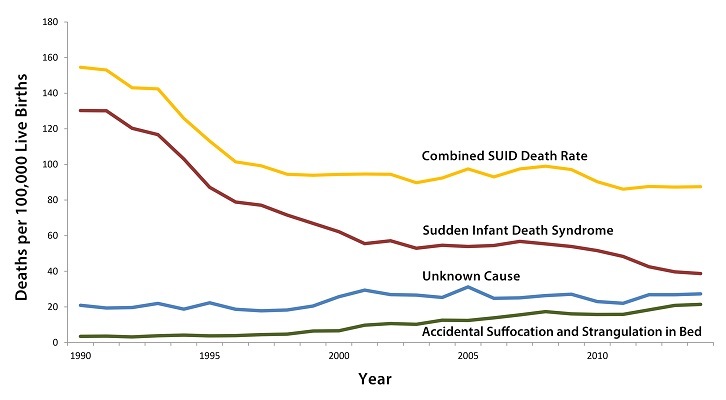 This graph, created by the agency, shows the rate of sudden unexpected infant deaths, or SUIDs, from 1990 to 2014. Such cases involve three main categories, the most high profile being SIDS. It dropped from 130.3 deaths per 100,000 live births in 1990 to 38.7 deaths per 100,000 live births in 2014. The overall drop could be attributed to increased public awareness, including two government safety campaigns initiated in the early 1990s, according to the agency.